A massive data breach has led to the personal data and documents of hundreds of German politicians and public figures being published online. As of this time, it is still unclear as to whether the breach occurred as the result of a leak or hack according to a spokesperson from the country's Interior Ministry. German Chancellor Angela Merkel was also affected by the incident though an initial analysis revealed that no sensitive material from her office had been released. If it turns out that the data breach was caused by a hack, it would be the latest in a series of cyberattacks on the German government. Last year for instance, hackers managed to breach the foreign ministry's computer network. The cyber defence group BSI met following news of the breach to help coordinate the response of intelligence and other federal agencies. According to BSI, every party in the Bundestag lower house was affected with the exception of the right-wing Alternative for Germany (AfD) party. The story was first made public by the broadcaster rbb which revealed that the identity of the hackers responsible for the attack was still unknown along with their motives for targeting the German government. Government spokesperson Martina Fietz confirmed that the personal data and documents of hundreds of politicians and public figures had been released online. Fortunately the armed forces were not affected by the breach according to a defence ministry spokesperson. We will likely find out more once the identity of the hackers responsible is discovered as well as their motive for leaking the personal data and documents of German politicians online. However the leak appears to have come from the same source that has regularly been leaking information on German celebrities in December 2018. 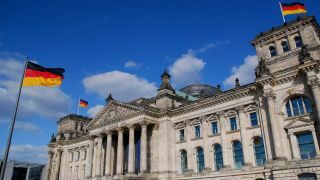 “The leak of personal information from German MPs seems to have come from the same source that has been regularly leaking information on German celebrities throughout December via Twitter," said Caitlin Huey, senior threat intelligence analyst at EclecticIQ. "There are several facts that point towards this hack being orchestrated from an organisation leaning politically towards the far right. For instance, information from members of the rightwing party AfD were excluded. The now suspended Twitter account was following only a few accounts, among which was the notorious anonymousnews.ru. The suspended account had also liked posts from users that were openly outspoken against refugees.